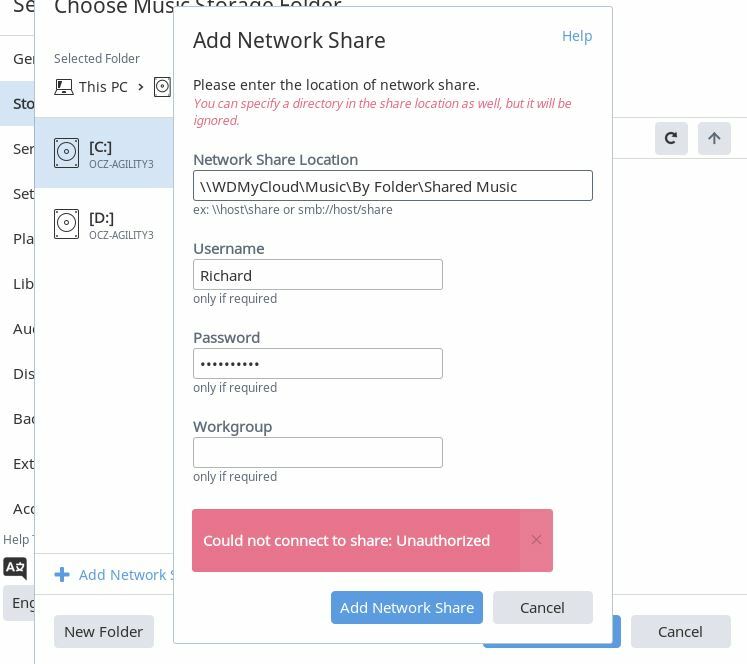 Help I am tearing my hair out Roon will not accept my network share… I have a nuc running windows 10 and use a wd mycloud 4 tb. It keeps saying unexpected error has occurred. I switched off my antivirus and fire wall…no go. Am I missing some deep down windows 10 protocols. I’ve moved your post from the “Uncategorized” section of the forum into the Support category, where it will be seen and responded to by the Roon Support team. 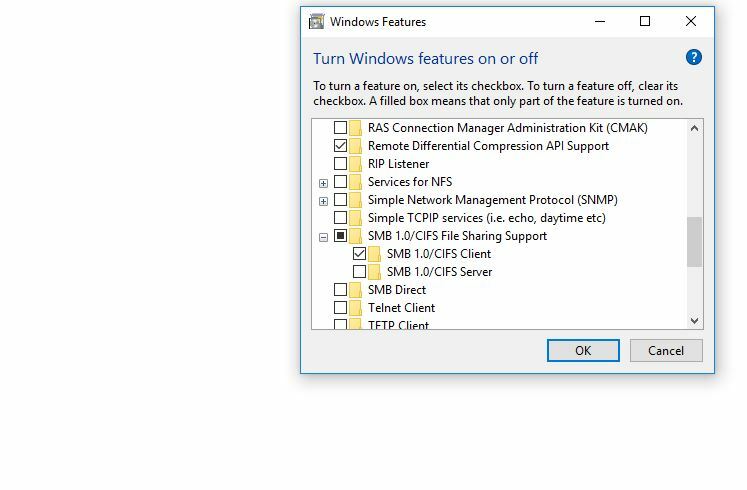 You windows setup might need to activate SMB1 access for a start. 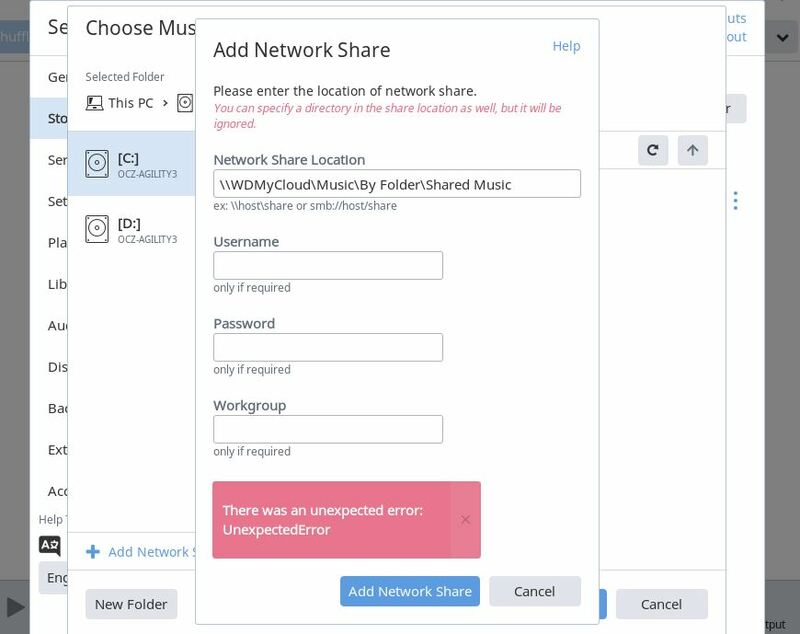 In this guide, we show you the steps to regain access to your network files when connecting to a device that is still using the SMB version 1 protocol. This ensures that your share is always mounted by Roon, bypassing the OS X Finder altogether. If you don’t know your My Cloud IP address, you can find it in your My Cloud dashboard. Try using IP-address instead of hostname. Make sure to use username / password (if any) from NAS. Use Windows on NUC (if this is your Roon Core) to map the network share in Windows as drive. 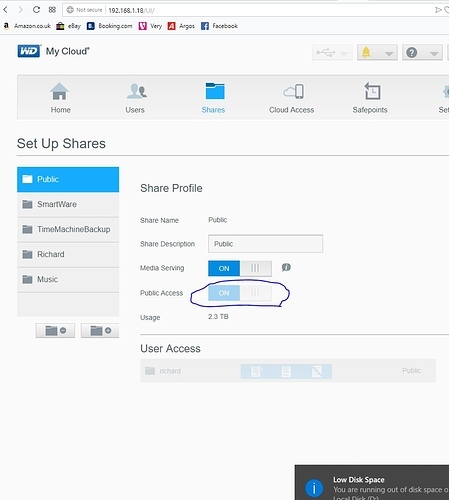 As suggested above, definitely make sure SMB1 is enabled and follow these instructions to add a network share in Roon. Make sure you’re using the appropriate username and password here. If you’re still having issues, can you share with us what you’re entering into Roon for the path? The frustrating thing is I can view everything in explorer … but will it share it …arghhh :-(((( Thank you all so much for the above suggestions…its just this issue is taking over my life meanwhile my licence is ticking away!!! if you can map the drive in explorer to drive letter just use that as the storage location. as long as the core is on the windows pc with the mapped drive accessible then it should work. Can you try using the IP address instead of the name here and see if that yields any changes? I have gone through network access settings turned all off then saved then restarted … then switched all back on … no go. Then went into mydrive - looked at shares…one bit was greyed out.